A delicious Tex-Mex dish that practically cooks itself. In the hot summer months, I like to rely on my Crockpot for a lot of my cooking. 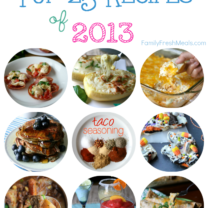 It keeps the kitchen a lot cooler, because I can cook up a meal without having to run the oven or the stove. And it keeps me a lot cooler, because the Crockpot does all the work, so I don’t have to spend time standing and stirring a hot pot. 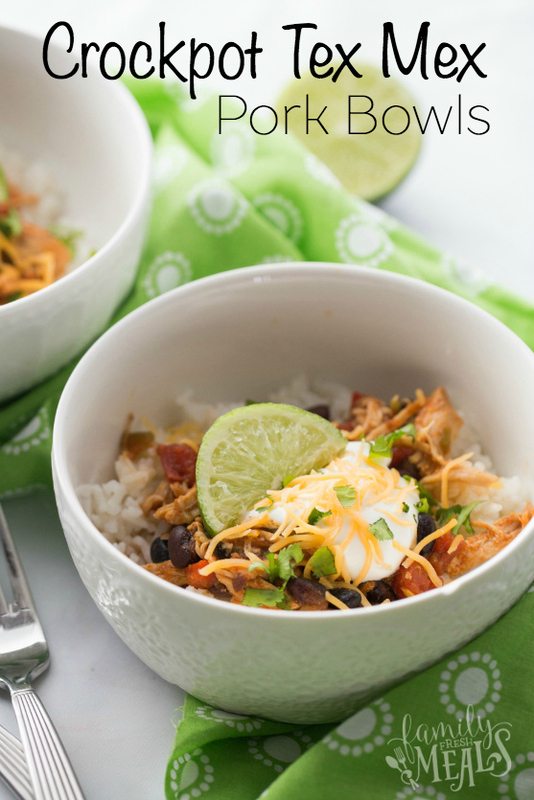 Here’s a super easy Crockpot recipe I whipped up recently: Crockpot Tex Mex Shredded Pork Bowls. 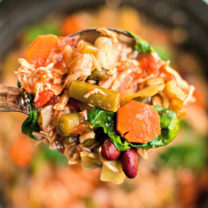 This has meat, beans, veggies, and seasoning all in one pot, so all you need to make it into a meal is some plain rice and your favorite toppings. And it’s so simple, it practically cooks itself. All you have to do is load the veggies into the crock, then quickly season a boneless pork shoulder and toss that in on top. Then set it on low and just leave it to itself for seven hours, while you go out and enjoy the nice summer weather. By dinnertime, the meat will be falling-apart tender, and all the flavors will be nicely blended together. All it needs is a quick shredding with a fork, and it’s ready to serve. 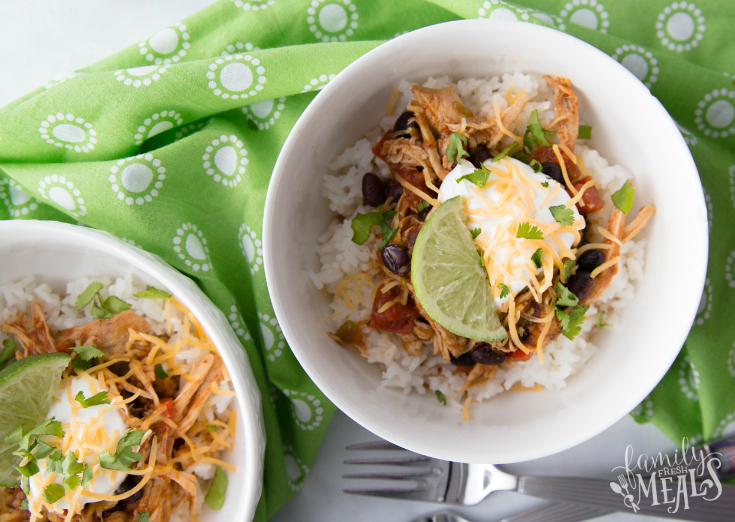 With these Crockpot Tex Mex Shredded Pork Bowls, you can spend less of your precious summer cooking, and more just having fun. 1. Spray 5-6 quart crockpot with cooking spray. 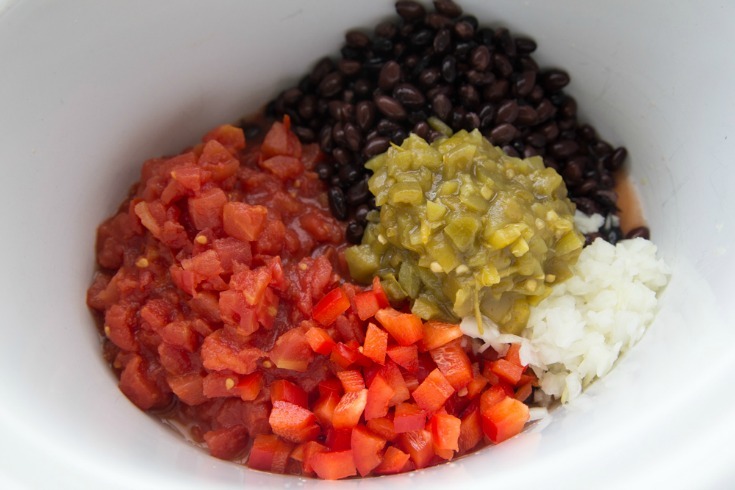 In crockpot add tomatoes, beans, chiles, onions, bell pepper and taco seasoning mix. Add pork shoulder season with salt, and then turn to coat. 2. Cover; cook on Low heat setting 7 hours, until tender and cooked throughly. Remove pork from crockpot and shred meat with fork. Stir shredded pork back crockpot. 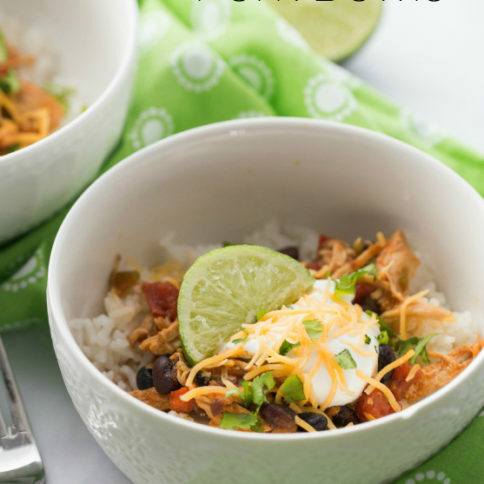 Here’s a super easy Crockpot recipe I whipped up recently: Crockpot Tex Mex Shredded Pork Bowls. 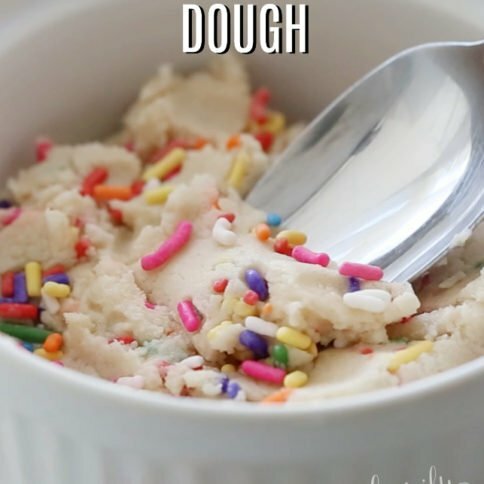 It's a great family recipe everyone will love! Spray 5-6 quart crockpot with cooking spray. 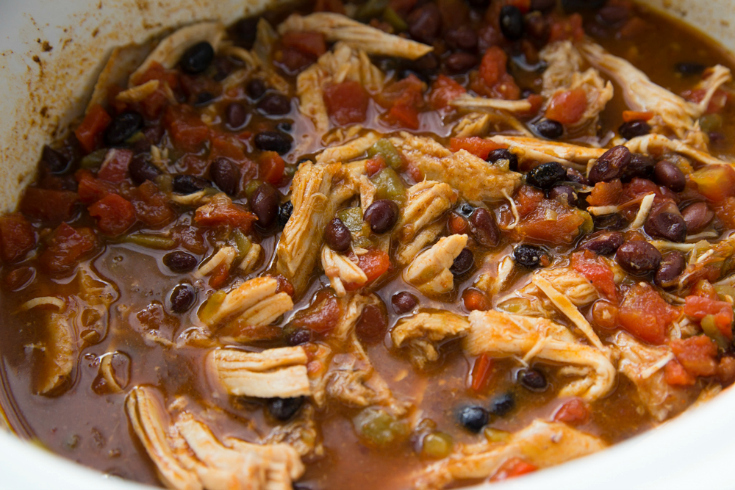 In crockpot add tomatoes, beans, chiles, onions, bell pepper and taco seasoning mix. Add pork shoulder season with salt, and then turn to coat. Cover; cook on Low heat setting 7 hours, until tender and cooked throughly. Remove pork from crockpot and shred meat with fork. Stir shredded pork back crockpot. Canned or fresh tomatoes and how much? So sorry about that! The ingredient got cut of when transferring over. ?It has been all fixed now. 14.5oz can of diced or crushed tomatoes. I notice there are tomatoes in the crock pot but I don’t see them as part of the ingredient list. Am i just missing them? No that was totally my fault! So sorry about that! The ingredient got cut of when transferring over. ?It has been all fixed now. 14.5oz can of diced or crushed tomatoes. The recipe does not list tomatoes. How much tomatoes do you add? Canned or fresh? Do the Nutrition Facts include rice & toppings or is this just the Tex Mex Shredded Pork ? Thanks! Can switch to 4 boneless chicken thigh or breast? I am not crazy about pork. Do you drain the chilies? No. You can dump the whole can in. 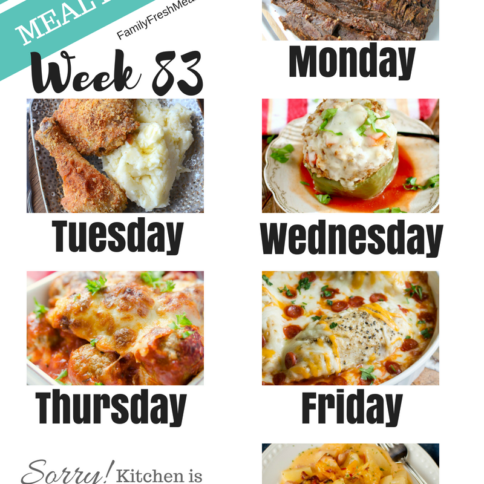 Going to make this again and double recipe – going to use 7.22 lb boneless pork shoulder – so, do I need to cook longer than 7 hours on low in crockpot? Thx. After 7 hrs, the final product is pretty runny and not like a chili consistency. Is it supposed to be very liquify? The video doesn’t show how the meal looks after you shred the pork and return it to the crockpot. The dishing part doesn’t look runny at all? Do I need to cook it longer? 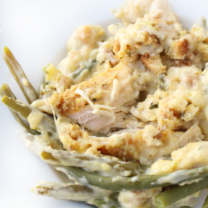 You might have some extra liquid in the crockpot. I would suggest scooping up the pork with a slotted spoon before placing in your pork bowl.